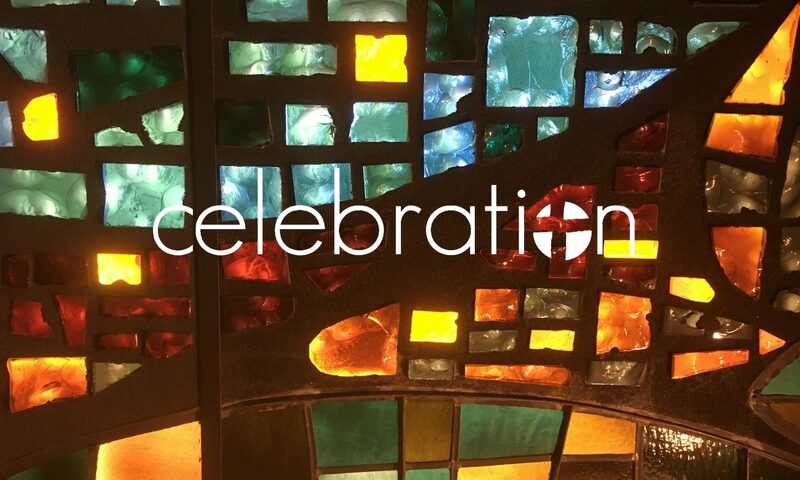 At Celebration, we rejoice in being an experimental worship community! As Lutherans, we hold dear the ancient rituals, rhythms and worship practices that we have inherited over the generations. As Christians in the 21st century, we are compelled to find new and innovative ways to tell the Story of God’s love to emerging generations. For us, it doesn’t have to be EITHER/OR but BOTH/AND! So, when you worship at Celebration, you join us on an adventure of encountering God in a variety of experiences which may be interactive or contemplative, silent or loud. One Sunday we might have a “become the sermon” worship where we preach the Gospel through serving in the community, and then another Sunday worship might include videos and a thought-provoking sermon. One Sunday might be a family-friendly camp-style worship; and another Sunday may include a rite for healing. Regardless, every Sunday we celebrate Holy Communion because we believe Jesus shows up in the Lord’s Supper. You’ll regularly hear us pray the Lord’s Prayer or make the sign of the cross. And sometimes we even confess one of the ancient Creeds of the Church to remind us of our heritage of faith.